We’ve got that extra boost of motivation you need to knock out your best squat sets. Want strong, defined thighs and a firm behind? Download the Runtastic Squats app and get started - no equipment needed, only yourself and determination. Turn your iPhone/iPad into a PERSONAL TRAINER who accompanies you, step by step, towards your goal. Challenging? Yes. Too difficult? No! With Runtastic, you’ll be able to do 150 consecutive squats in no time. By the way, squats not only strengthen your legs, they also train your core. Let Runtastic help you get that that toned behind you’ve always wanted! Do you want to know how many squats you can do? Lost count of how many times you squatted down during your last training sessions? Focus on your form and let the Runtastic Squats app count for you! 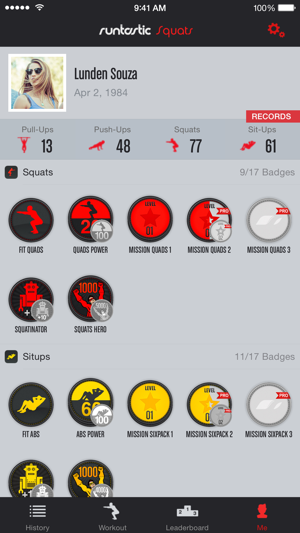 The app counts all your squats and provides you with interesting stats. Check out an overview of your fitness activities to see your progress. Plus, beat your own records and set new personal bests - you’ll be surprised of how fast your performance improves! 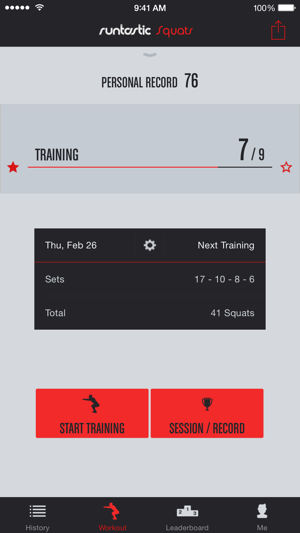 Your squats are automatically recognised using the accelerometer of your iPhone/iPad. 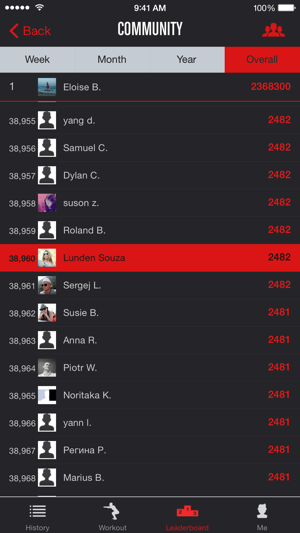 You can also upload your fitness data to Runtastic.com. 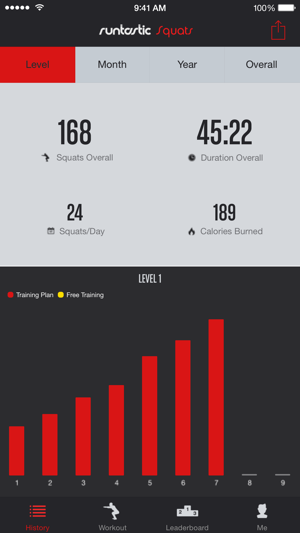 There, you can access all your stats anytime, as well as monitor your success thanks to your personal training log. Remember, you can also share your achievements with your friends! Make sure you do your squats with your back straight and core activated, and make sure your knees don’t go beyond your toes. 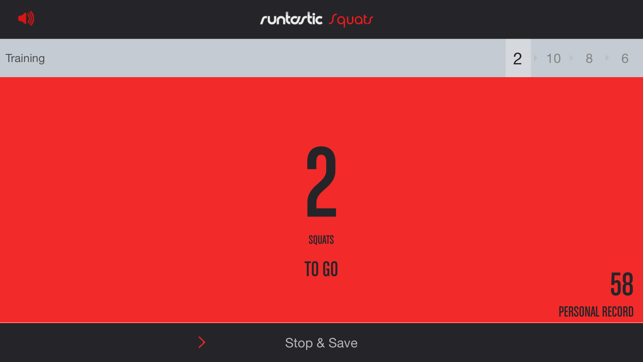 The Runtastic Squats app supports your training efforts by keeping your motivation strong. 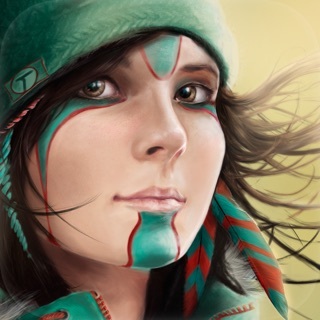 We’re sure you’ll soon reach your goal and be proud of your achievement. Ready to squat? Let’s go! !